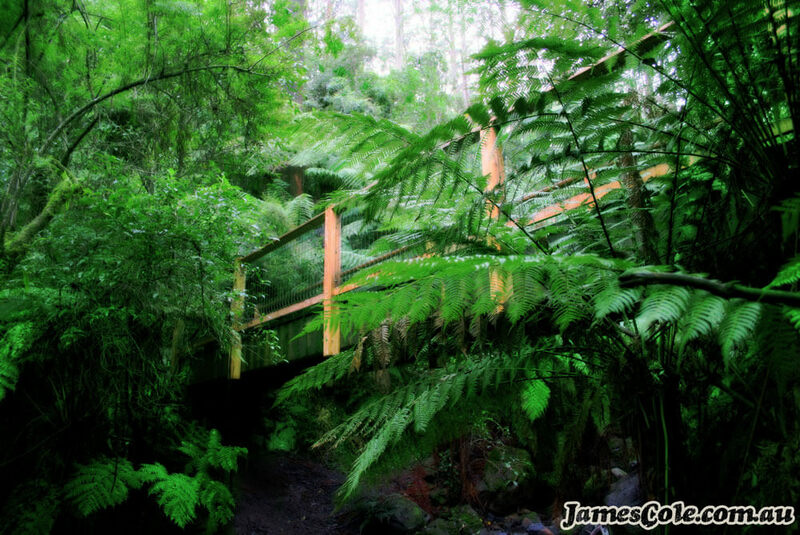 The Dandenong Ranges have been like a photographic home for me over the years. I love how magical it can be, as if fairies and mystical creatures are hiding around every corner, under every leaf. This little bridge crosses a small waterfall. It is a beautiful place, deep inside Sherbrooke Forest. It's quite a walk to get there but I think worth it. Up the hill, turn right at the fork, along the muddy path, past the ancient fairy tree, past the stream, down the slippery track and down to the bridge.